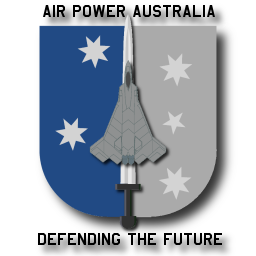 Australia it seems is planning for an Air Force which will not be capable to compete against recent Russian fighter and weapons designs now being exported to Asian nations. Why is this? Firstly, most of the Sukhoi fighters that will come into the Asia-Pacific region are yet to be manufactured. 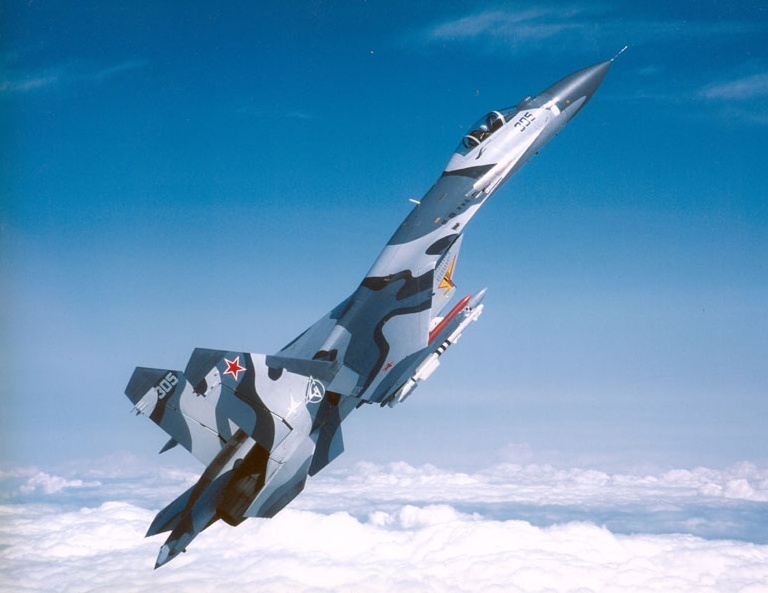 Sukhoi use ‘rapid prototyping’ methods and an evolution based design approach, so customers such as India, Vietnam, Indonesia, Venezuela, Mexico, Algeria and China can incorporate new design features as they are developed. If I were purchasing a modern air combat aircraft, I would ask for the latest kit, as it is much cheaper to build it in than retrofit it. This is not difficult for Sukhoi and its partners, KnAAPO and Irkut, to achieve. Secondly, and most importantly, the latest Sukhoi models planned for 2009 delivery will defeat all of the recently developed capabilities of the Australians without difficulty; e.g. Airborne Early Warning & Control (E-737 Boeing Wedgetail), Air-to-Air Refuelling (Airbus A330-200 MRTT), F/A-18F, F-35 Joint Strike Fighter - if it ever arrives, the Spanish Air Warfare Destroyer, and Amphibious Landing Ships. The long range missiles – Novator K-100 (formerly R-172/KS-172-S1) and the Vympel' R-37 [Ed: AA-13 Arrow] have a range circa 300 to 400 kilometres. Flying above 40,000 feet, the Sukhois can easily detect the AEW&C or MMRT at this range with their BARS radar – the new Tikhomirov NIIP Irbis-E will just improve matters for a Sukhoi driver. So they can launch and destroy these big aircraft at very long ranges. Should the Australians be able to jam the missiles or the radar, the Sukhoi can use its range and speed to close to about 100 km and fire the smaller TMC/Zvezda Kh-31P [Ed: AS-17 Krypton] anti-radiation missile, or close to about 70 km and engage with the updated R-77 [Ed: AA-12 Adder] which comes with active radar (R-77), passive anti-radiation (R-77P) and infra-red homing (R-77T) guidance seekers. They can carry up to 12 missiles, so they get lots of shots if some miss – unlike the F-35 JSF which gets two defensive missile shots before attempting to escape for home. If these assets are protected by the F/A-18F, the Sukhois can engage in what you Australians call the ‘Offensive Counter Air’ (OCA) operations. Again, we would firstly use the K-100 / R-37 long range missiles as their ranges much exceed that of the Australians' US manufactured Raytheon AMRAAM – AIM120C-5 – or the slightly longer range C-7 which has just been permitted for export. Closing further, the R-77 Adders also have a longer range than the AIM-120, so it gives the Sukhoi driver a second chance to take a shot. There are also long range infrared and passive anti-radiation homing missiles such as the Vympel' R-27ET/EP [Ed: AA-10 Alamo]. If all that fails, then there is likely to be a radio electronic combat [Ed: electronic warfare] exchange, with the result that both sides degrade the other sides' missile and radar performance. Kh-61 Yakhont on Su-33 Flanker D. Note the centreline Kh-41 Moskit / Sunburn, and wing rail mounted R-27 and R-77 missiles. If you can see the wingtips of the Su-27S, Su-30MK, Su-33 or Su-35/35BM you can see KnIIRTI L-005 Sorbstiya phased array jamming pods which are very effective. They are designed to disrupt Western phase [Ed: monopulse cross eye jamming] tracking radars and missile seekers. The American navy is now so worried about Sorbstiya jamming their new APG-79 radar that they are introducing a new [Ed: AAS-42] infrared tracker on the F/A-18E/F Super Hornet fighter, yet our Sukhois have carried such equipment since the Cold War. The latest Russian jamming pods have the digital radio frequency memory which is the same [Ed: technology] as used for new American, Israeli and European jamming equipments. Assume the radar missiles are neutralized, the Sukhoi can close for what we pilots call a ‘knife fight’ – the modern equivalent of the Great Patriotic War 'dogfight' where the agility and excess power prevail. The Sukhois are much superior in this flight envelope against the American F/A-18F and F-35. So, having disposed of the Australian air force, as the Japanese Imperial Navy forces did so quickly in 1942, the Sukhois can turn to liquidating the Australian naval forces. 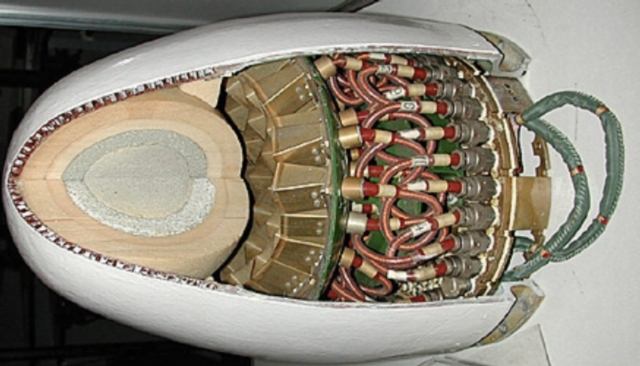 Have a look at the big piece of metal between the engine pods in the Su-33 picture above. This is a Raduga Kh-41 Moskit [Ed: SS-N-22 Sunburn] which is a 4,500 kilogram mass supersonic rocket-ramjet missile, which skims the waves at 2.2 Mach supersonic velocity. Imagine a missile seven times the size of the French Exocet, which destroyed so many British ships in the Falklands/Malvinas war, travelling at three times the speed of the French missile. In front of the Su-33 in this picture is an NPO Mashinostroyenia Kh-61 Yakhont [Ed: SS-N-26], which is a 2,500 kg mass supersonic missile which achieved Mach 2-2.5. Tactic developed by Soviet navy during the Cold War to beat the American navy is to launch a ‘swarm’ of these (e.g. 8-12) at a warship to overwhelm defences. The warship simply cannot shoot enough defensive missiles quickly enough to stop so many supersonic Moskits or Yakhonts. Even if the ship has automatic cannon defences, if these hit the supersonic missiles it is probable the ship will be hit by a tonne of supersonic debris. This can damage radar antennas and cripple the ship missile defence systems for the final kill. The TMC/Zvezda Kh-31A 'mini-Moskit' is also used against ships, but from shorter range and with a lighter warhead. Interestingly, both the Indians and the Chinese are developing their own versions of the Yakhont, based on the superb original Russian design. The Indian / Russian ‘BrahMos’ has been developed for both maritime and land attack. Plans are to export at least 500 of these from the Indian factories. So, having disposed of the Australian navy fleet, it becomes the Australian army’s turn next. There are lots of modern air-to-ground weapons in production which Rosoboronexport can sell to any country which has the Sukhoi Flankers. The Chinese are now licencing or copying many of these designs. My favourite – where there are no effective air defence missile systems, the Australians' Rapier and RBS-70 have a very limited point-protection capability - is the GNPP KAB-1500 (1,500 kg mass) with a thermobaric fill – sort of like a mini-nuke. These can be launched with an optical television guidance over a radio correction channel (KAB-1500TK), or with the 'fire and forget' optical correlator guidance (KAB-1500Kr), with the laser guidance (KAB-1500L) or with the new satellite guidance system in the KAB-1500S-E model. No different from American, Israeli or French 'smart bombs'. With an air-burst fuze or promixity fuze, it would cover the area occupied by an Infantry Battalion dug-in during a close fight. The fireball from the thermobaric bomb would consume everything in about a 150 metre radius, and the blast would neutralise those closer than about 500 metres from ground-zero. Of course, you would not just take one bomb to this party – each Sukhoi can lift and deliver three of these excellent 'smart bombs', or six of the smaller KAB-500 models each still 500 kg mass. So, all in all, the Sukhois are very powerful and effective weapons systems. They cost about half the price of equivalent USA aircraft like the F-15E Eagle, or inferior aircraft like F/A-18. I guess this is why smart countries in the Asia-Pacific are all buying them. KnAAPO/Sukhoi Su-27SKM Multirole Flanker Prototype. Further images. The KNIRTI SPS-171 / L005S Sorbtsiya-S H/I band ECM pods are paired on the aircraft wingtips.